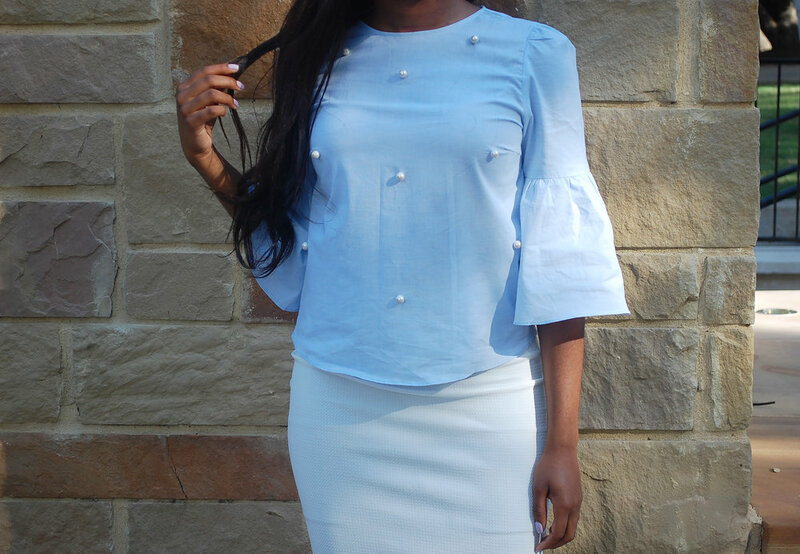 Poplin tops are a gorgeously sweet way to add flair to a simple summertime look with a classic touch of elegance.💁🏾 In addition to the top's iconic bell sleeves, breathable strutctured fabric and flattering A-cut, it's perfect for accentuating your shoulders and keeping things chic. I fell in love with this beauty due to its pretty faux pearl detailing. Because, like diamonds, what girl can ever have too many pearls? Although the poplin top adds quite the touch of class to any look, it can just as simply be dressed down with a favorite pair of skinnies for effortless cool. 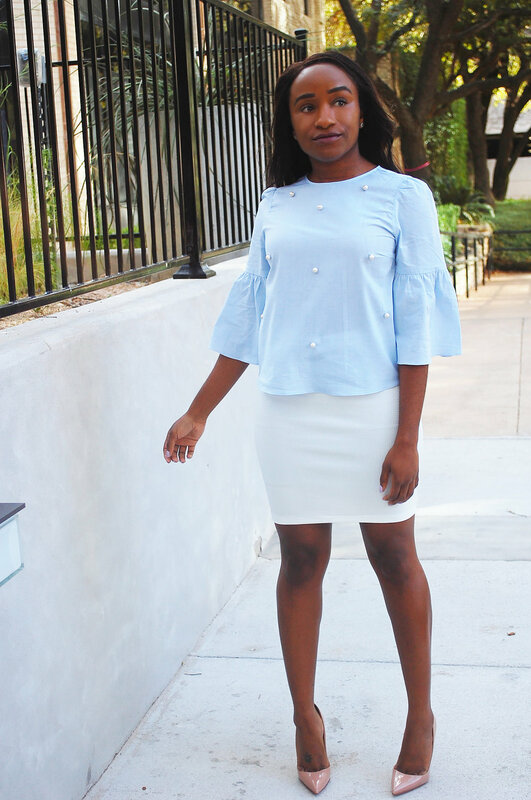 My perfect poplin top pairing consists of one part poplin, one part curve-hugging scuba skirt, and one part killer heels.